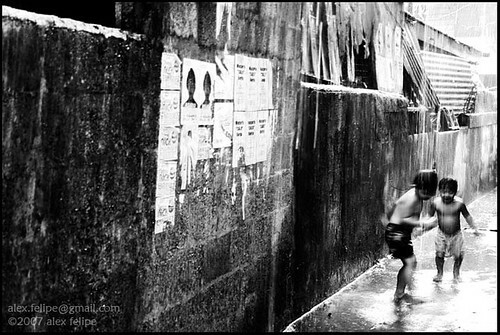 Kapisanan Philippine Centre for Arts & Culture/Blog/After Arroyo, What Then??? 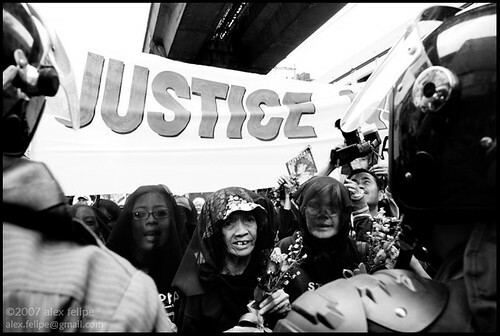 CBT’s “People Power,” the recent Toronto visit of three progressive Philippine congresspersons, and the continuing bad news coming from the homeland has a lot in the Filipino community and others wondering about what to do about politics in the Phils. - Between 2000-05 it was the most dangerous place in the world for a journalist to work, in 2006 it was number two (Iraq took over #1), and now it’s number three [according to Reporters Without Borders]. This number only went down (with the political killings) because of the international pressure which led to the UN Special Rapporteur visit--see link below. - Despite a growing GDP (due to privatization of public assests, and increased foreign investment in commodities like gold), real economic growth (ie. more money for the common people) is worse than nonexistent, it’s shrinking. Because of the above there has been a growing voice to remove the current Arroyo administration from power. The problem is: What happens next??? That question has been a major hurdle for a lot of Filipinos in-country and abroad. And though I understand it, I am reminded of the Voltaire quote I led off this piece with. Well, despite my old obsession with Voltaire, I think this question does deserve an answer. 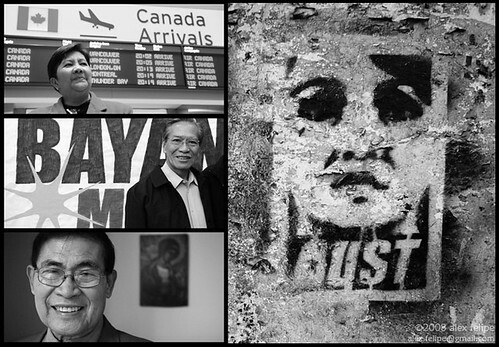 Rep. Satur Ocampo, the former Marcos-era political prisoner who was imprisoned longer than anyone else, spoke at U of T last week and gave an answer. With the first option, GMA would be forced to step down and the vice president would become president. The problem here is that Noli de Castro is a GMA team player. The former news broadcaster is not expected to be any different from Gloria. With the second option, the problem is much like the first. An election would only pit political elites in an electoral contest with no likelihood for much change as the interests of the elite do would be to keep the status quo. And the final option, and the one that these three congresspersons seem to subscribe to, is that after the ouster of GMA that the constitution of the Philippines be renewed by a Civilian Transition Government made up of all the political groups in the government, with the participation of established social justice groups. A timeline would be set for recreating the system that creates and governs government, and with that the Philippines could begin anew. - Is this kind of a political “reset” button really possible? - How would the composition of this temp transition gov be decided—and by whom? - And would the powers that be in the Phils and abroad really allow this to happen?